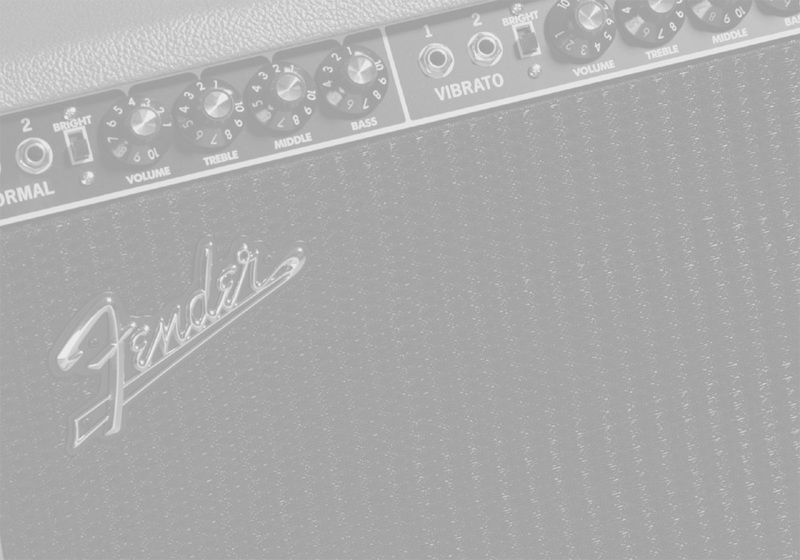 Almost any Fender amplifier can be caled "iconic," but the Twin Reverb truly earns the title. Look at the setup on any stage from the Sixties - and many stage setups these days - and chances are good there will be a Twin Reverb in use. This Special Edition 85-watt (at 4 ohms) Twin Reverb features four 6L6 output tubes, four 12AX7 preamp tubes, two 12AT7 preamp tubes, two 12” 8-ohm Jensen® C-12K speakers, dual channels (normal and vibrato), Fender reverb, vibrato, two-button reverb and vibrato on-off footswitch, tilt-back legs, special pink textured vinyl covering and black grille cloth. The Pinkburst Twin Reverb by Fender will be an exceptional addition to any collection.